Bringing 41 years of precision engineering to the market, the MDX-RX100III underwater housing is designed to utilize all features of RX100 III Digital Camera with accuracy and ease, making it the housing of choice for the avid underwater photographer. Sea & Sea 1 inch ball base adapter attaches dirrectly to the housing. 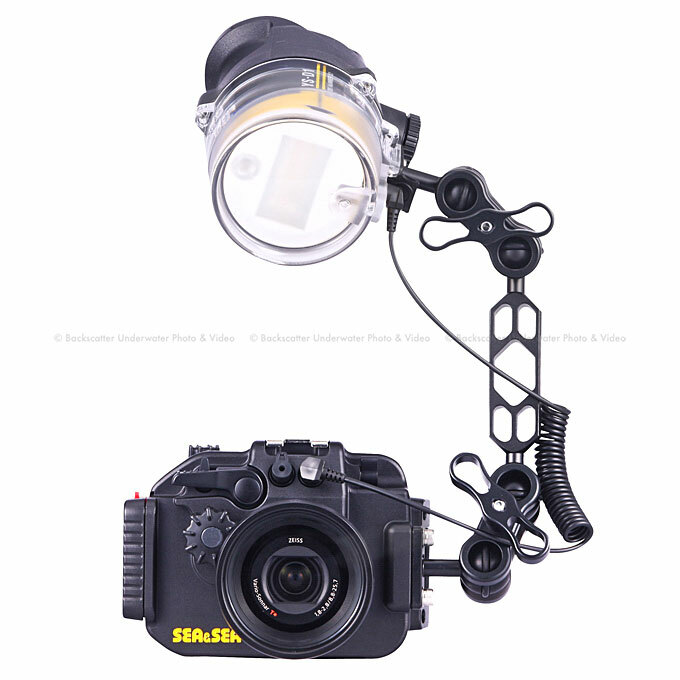 External strobe or light can be mounted by attaching an SA8 Tray & Grip2118 to the tripod socket on the bottom of the housing.